While NYU students accrue debt, NYU helps its executives and star faculty buy vacation homes. Editor's note: Claire Potter is a professor of history at the New School for Public Engagement. 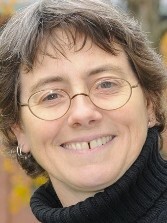 She blogs at Tenured Radical for the Chronicle of Higher Education. (CNN) - New York University's 2010 graduating class owed a total of more than $600 million in student loans. It's unlikely the university will forgive them. But NYU has forgiven portions of mortgages they have extended to President John Sexton, other university executives or star faculty - money that has been used to buy properties in Manhattan or vacation homes in the Hamptons. Or, how about this: Treasury Secretary Jack Lew, a former executive vice president at NYU, received an "exit bonus" of $685,000. Just to put this in perspective, Lew's NYU exit bonus alone would have provided free tuition for 275 undergraduates, or a little more than 17% of the incoming class. The revelations about lavish compensation packages at New York University (my alma mater) have raised a firestorm of criticism. Faculty critics have already publicized NYU's top executive salaries: Sexton takes home nearly $1.5 million, Vivien Lee, the vice dean of science gets $1.1 million, and Robert Grossman, the dean of the medical center, makes a whopping $3.5 million.